Natural mineral whiteners: Silica and calcium carbonate. 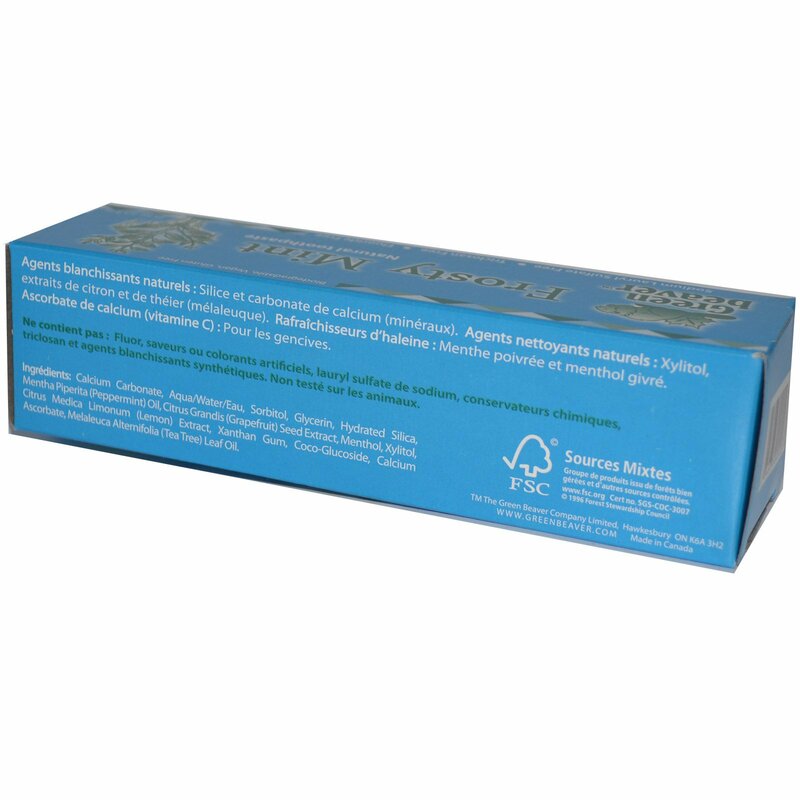 Natural cleansing agents: Xylitol, lemon and tea tree extracts. 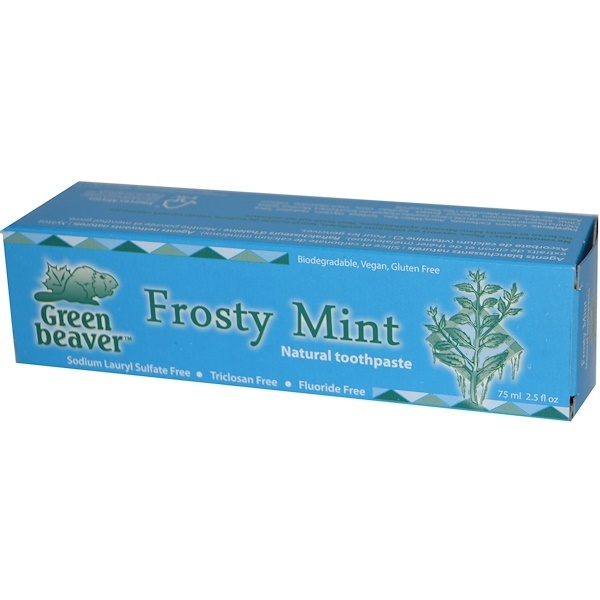 Natural breath fresheners: Frosty peppermint and menthol. Calcium ascorbate (vitamin C): For your gums. Calcium carbonate, aqua/water, sorbitol, glycerin, hydrated silica, mentha piperita (peppermint) oil, citurs grandis (grapefruit) seed extract, menthol, xylitol, citrus medica limonum (lemon) extract, xanthan gum, coco-glucoside, calcium ascorbate, melaleuca alternifolia (tea tree) leaf oil. Does not contain: Fluoride, artificial flavors or dyes, sodium lauryl sulfate (SLS), chemical preservatives, triclosan and chemical whiteners. Not tested on animals.